order valtrex online uk| That is why chances are you'll buy amoxicillin online cheap on the net but it will be important to choose the doctor for getting recommendations. 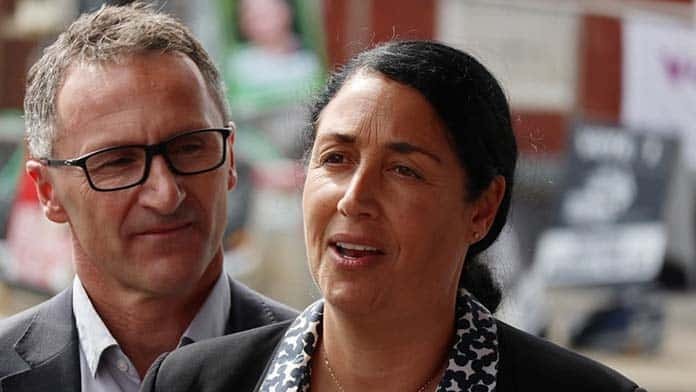 Alex Bhathal, with her resignation from the Victorian Greens, is now the latest casualty of the fight between left and right for the future of The Greens. Bhathal’s resignation came after many years of a sustained right-wing campaign to take the Darebin branch in a more electoralist direction. Bhathal had survived the first attempt by the councillors to stop her being the candidate in the 2018 by-election for Batman electorate (now renamed Cooper). But the decision to move a censure motion against Bhathal at the Victorian state council was the final straw of the conservative campaign, resulting in her resignation after 18 years of membership. The motion and the resignation are a victory for the same right-wing forces inside The Greens that have consistently mobilised against the left-controlled NSW branch of The Greens. Until now, the long-running political tensions inside the Darebin branch have been articulated as a battle between personalities, replete with accusations of internal bullying, intimidation and threats. But the bitter internal stoush emerges out of much deeper, unresolved political tension about the kind of party The Greens should be. Evidence of the political tensions inside the Victorian Greens first publicly emerged last year in the lead up to the Batman by-election, when there was an attempt to remove Bhathal as The Greens’ candidate. An effort to sabotage her campaign followed, with a dossier of complaints against Bhathal, backed by the four Darebin Greens councillors, leaked to the media. A Disputes Panel found the claims to be unsubstantiated. But the investigation has been re-opened in an attempt to push Bhathal out of The Greens. Many Greens members are outraged that a motion to censure Bhathal was going to be put to the Victorian State Council. They are also appalled at the double standard, with complaints against Bhathal treated so harshly, while complaints against other Green candidates are not. But it is quite clear that the internal decisions are essentially driven by the electoral ambitions of the party. In NSW, Mehreen Faruqi was explicitly supported by the right to remove Lee Rhiannon. Bhathal is seen to be on the left of the Victorian Greens; not as a career politician. She is a community activist known for her committment to action outside Parliament against racism, and for refugees and Aboriginal rights. The Darebin councillors, who are the driving force of the complaints, represent the same kind of forces that mobilised with the approval of Federal leader Richard Di Natale against Lee Rhiannon’s pre-selection in NSW. Like Di Natale, they believe electoral success can be attained by shifting to the right and winning over Liberal voters. But even some members on the left of The Greens have misjudged the conservative danger posed by the right’s electoral strategy. The fact that the Victorian Greens apparatus has backed the Darebin councillors now makes it more obvious that the fight has never simply been about internal processes or individual ambition. It is a fight over whether those committed to a left-wing vision of The Greens have any future in a party increasingly dominated by a conservative electoral agenda. Di Natale has pushed hard to take The Greens in a thoroughly electoralist direction. In 2017, he spelled out a very long-term strategy of profoundly gradual electoral gain that would eventually see The Greens influencing government by having the balance of power or becoming part of a minority government. Di Natale announced a plan to win 25 seats (that list included Wentworth, recently won by Kerry Phelps, and Tony Abbott’s seat of Warringah) in the course of a generation! The plan is already in tatters. The logic of this electoral strategy means a focus on winning enough Liberal voters to take seats. This points to the fundamental problem with the idea that political change comes through Parliament. With such an electoral strategy, the central question is winning seats rather than building struggle and a left alternative to Labor. This electoral strategy pulls very sharply away from any idea of The Greens being a voice for the working class or social movements. Looking to disaffected Liberals is a sure recipe for the party to continue to be dragged to the right. It is the space to the Left of Labor that The Greens should aspire to fill. This means a consistent effort to win Labor’s working class support base with policies that are about defending union rights, jobs and conditions as well as refugee rights and climate change policies that create jobs and make the polluters pay. Di Natale and the right want Greens parliamentarians to have control of the party, Greens, not its rank and file members. He wants a Greens Party Room to be as free as Labor politicians to wheel and deal regardless of Greens policy. The desire to strike deals in Parliament saw Di Natale and The Greens Federal MPs in 2017 attracted to the idea of negotiating with Turnbull over Gonski 2.0 rather than being immediately concerned to defend teachers, their unions and public education. Greens members, teachers, and other unionists were horrified that the federal Greens MPs would even consider a deal with Turnbull. It was only Lee Rhiannon indicating that she would vote against Gonski 2.0, as was required by NSW Greens policy, that prevented them from going through with the deal. And it was the NSW Greens membership controlled Parliamentary Liaison Committee that was essential to ensuring that Rhiannon stuck to Greens policy. The Gonski 2.0 experience added to the determination of Di Natale and the right to wage a fight against the NSW Greens to abolish the Parliamentary Liaison Committee. But as long as The Greens focus on votes and parliament, and not on building real struggles outside Parliament, they will continue to flounder. Tens of thousands of unionists have been on Change the Rules rallies essentially calling on Labor to change the rules. But Labor’s promises go nowhere near meeting workers’ demands. If The Greens made it clear that they took the unions seriously and were willing to back workers who are willing to defy the Liberals’ anti-union laws, they could lay the basis for winning Labor supporters to The Greens. Labor is tacking left in the run-up to the coming federal election, but Labor remains wedded to neo-liberalism and we know from bitter experience that Labor governments are committed to running capitalism and will inevitably disappoint those who vote for them. Solidarity is sorry to see Bhathal resign. The Greens have been diminished by the right-wing campaign to push her out. We are just as dismayed that The Greens are losing members at a time when the need for a party clearly to the left of Labor is so stark. If The Greens are going to be that party, the left of The Greens needs to fight every attempt to turn the party into the latter-day Democrats. That way lies ruin. A consistent left party could not only play a role to finally get rid of Morrison; but in building the struggles needed to get rid of the capitalist system itself. Di Natale at the press club—which way for The Greens? The tax cuts at the centre of Morrison’s budget were a transparent effort to buy votes. Solidarity is a socialist group with branches across Australia. We are opposed to the madness of capitalism, which is plunging us into global recession and misery at the same time as wrecking the planet’s future. We are taking the first steps towards building an organisation that can help lead the fight for an alternative system based on mass democratic planning, in the interests of human need not profit. Read more about Solidarity here or check out details of our meetings and events here.